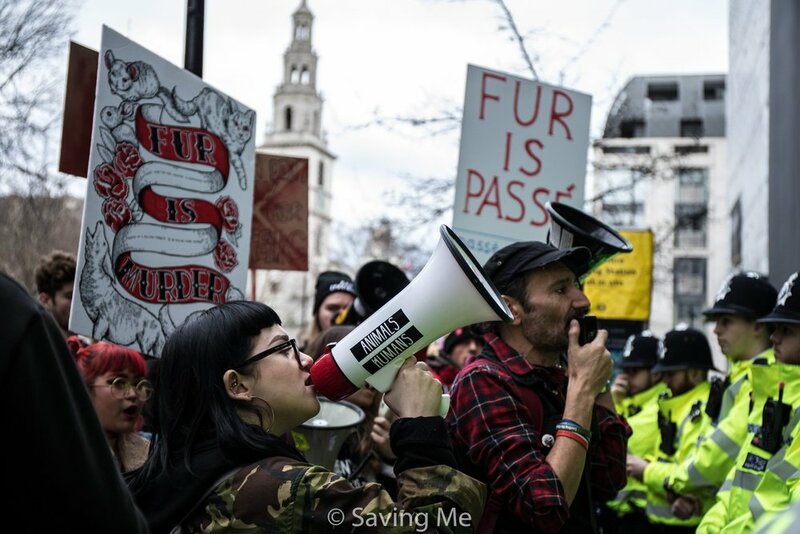 The dedication, passion and unity shown by all of those who attended The Big London Fashion Week Anti-Fur Protest is symbolic of what the future holds for vegan activism. 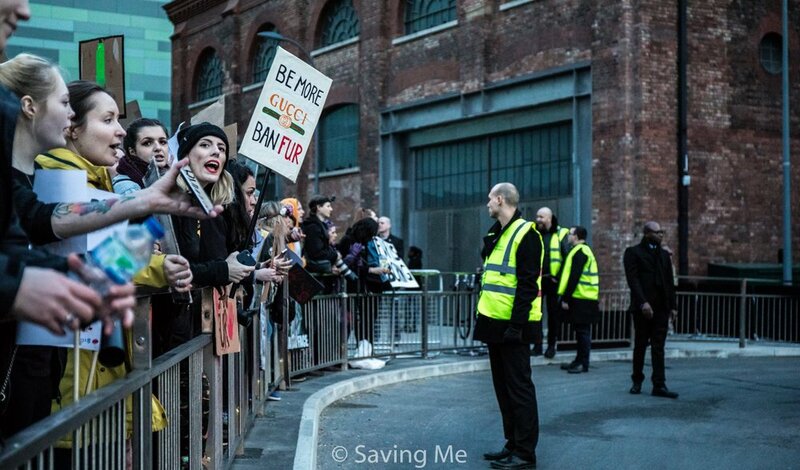 The three day protest saw people from across the country coming together to make a stand against London Fashion Week’s refusal to ban fur from their catwalks. We were met with unnecessary hostility, despite the event being a peaceful one - but nevertheless, the activists did not let this negatively impact their efforts. It was made very clear to those participating in the events that fur should no longer be allowed, that fur is not fashion and that fur is violence - an unnecessary violence, which several major designers, such as Michael Kors, have already pledged to stop partaking in. We took this message to the main base of London Fashion Week, 180 The Strand, but also to three of the private shows of designers Burberry, Mary Katrantzou and Christopher Kane - all of whom have been known to be prolific users of fur. Whether it is Kane’s range of mink fur crocs, Katrantzou’s use of fox fur sleeves, or Burberry’s use of fur trims; all are guilty of causing unnecessary and unimaginable cruelty to animals, in an age when the majority do not support this and in a country where fur farming has been banned for over fifteen years. (Left to Right) Christopher Kane Mink Fur Crocs, Burberry Fox Fur Trim Coat, Mary Katrantzou Fox Fur Coat, Christopher Kane Mink & Fox Fur Coat, Burberry Camel, Raccoon & Fox Fur Coat, Mary Katrantzou Fox Fur Coat. The decision to protest came after London Fashion Week refused to make an ethical decision and ban the use of fur - and for as long as they continue to allow fur, activists will continue to protest. It was with this in mind that the community joined together and spoke out on behalf of the animals who suffer and die horrifically in fur farms for these designers. Our voices were heard by thousands across the three days, along with the recorded screams of animals being tortured for fashion. At times a lot of teamwork and flexibility was required by the activists who had to move quickly to various locations in order to be effectively heard by London Fashion Week, but everyone rose to the challenge, working together to make the protests as effective as possible. In 2018, we should not have to explain to people that beating, anally-electrocuting, and skinning animals alive is wrong, however London Fashion Week has yet to recognise how immoral these practices are. If they truly want to be ethical, then a simple and positive step forward would be to ban fur immediately from their catwalks. Surge is more than happy to sit down with the London Fashion Week organisers, come to an agreement on this - and bring an end to the unnecessary cruelty the event currently caters for. Until then, we will continue our efforts to show them how unacceptable the use of fur is. If you agree, then sign and share the petition now to express this and help others do the same. Let us continue as the community this weekend has shown us to be. Through the tense moments, the sometimes hectic moments and against some violent opposition, we came together as one, opposing an outdated practice - whilst showing many that together we can end all animal oppression. This is only the beginning of our journey together as an ever-growing, peaceful community who aren’t intimidated and won’t back down. A community that will speak out and take action for as long as is necessary to help the animals of this world and create a more just, more compassionate, vegan world – a world that we can all be proud of. Keep that future with you and wherever you go act for justice, with love and with courage - and remember what we as a community can achieve when we work together.